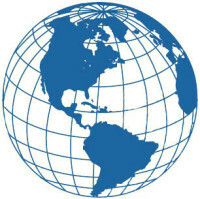 Our team consists of seasoned professionals with a proven record of service in helping organizations thrive globally. In addition to their expertise in all areas involved with international business, each has excellent research, planning, and communication skills. We commit to bring to every single assignment our personal energy, expertise, and imagination to provide our best advice and insights. We also commit to be readily available and responsive to the needs and interests of our clients. Despite our staff’s considerable experience and outstanding reputations, our moderate size enables us to provide personal attention from our senior professionals, to keep our overhead low, and to control our costs, thereby resulting in a savings for our clients. Each team member has a thorough understanding of the global business community and cultural sensitivity acquired from long-term experience working for international clients. Many have foreign language capabilities. Our team members, as a result of their many years in senior level corporate and business positions, participation in industry associations, personal relationships within the accounting, banking and legal communities, and serving as high-level government officials, have valuable contacts throughout the US. Our team members bring a variety of skills they bring to each project, including research, analysis, planning, implementation, marketing, public relations, and training. As a result of our team members’ work for and with governments, public-private partnerships, businesses, and not-for-profit institutions, we have a strong understanding of and sensitivity towards different expectations, pressures, political environments and interpersonal dynamics. Our style of work is to set goals, provide measurement tools, and meet your objectives.